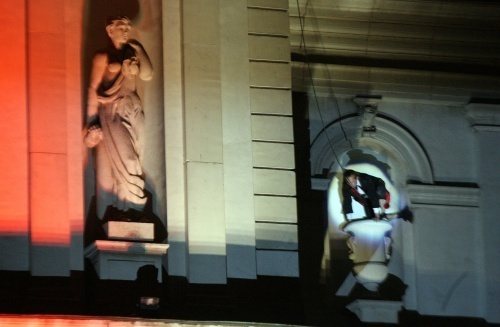 Bulgaria Sees 5th "Night of the Museums"
The fifth “Night of the Museums” took place in Sofia and other Bulgarian cities on May 15, part of the international festivities for the International Day of the Museums, May 18. Museums and galleries all over Bulgaria had free entrance and stayed open late into the night on Saturday, offering different activities such as dance, movie previews and entertaining show programs. The program of the 2010 Night of the Museums in Bulgaria is available on the Culture Ministry website HERE (in Bulgarian). Bulgaria's National Art Gallery, Gallery Sofia, National Gallery for Foreign Art, National Archeological Museum, National Polytechnic Museum and Museum “Earth and People” were among the participants in the capital. Some 2 000 museums from 40 European countries opened their doors for the all-night event. The first Night of the Museums took place in Berlin in 1997. The idea was to give free access to the public to all exhibits and introduce new artists to the cultural institutions.